MGF Mechano Growth Factor Magnus PharmaceuticalsActive ingredient: 5mg MGF (Mechano Growth Factor) Peptide Muscle building, stack Increases the stem cells in the muscle, massive IGF1 production and growth hormone distribution. Ideal for muscle building – strong anabolic mode of action. Ideal as a stack. 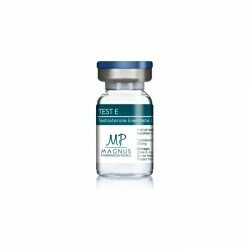 MOD GRF 1-29 Magnus Pharmaceuticals PeptideActive ingredient: 2 mg MOD GRF 1-29 peptides very anabolic in use. Increase growth hormone production. MOD GFR 1-29 Magnus Pharmaceuticals is very anabolic in use! Selanc Peptide Magnus PharmaceuticalsActive ingredient: 5 mg Selank Peptide Anxiety-promoting and immune-stimulating Distribution of dopamine (feelings of happiness) and serotonin. Selank Peptide acts anxiety-promoting and immune-stimulating (IL-6). Testosterone Propionate / Magnus Pharmaceuticals 100mg/ml Testosterone propionate U.S.P. (10ml VIAL) Is used as a competition steroid, mass steroid, strength building steroid, diet steroid, quality steroid and steroid for women! IGF1 LR3 Magnus Pharmaceuticals PeptideActive ingredient: 1mg IGF1 LR3 (Insulin Like Growth Factor 1, Long R3) massive muscle growth, fatloss. IGF-1 for generating massive muscle growth. For the formation of completely new muscle cells. Athletes use IGF-1 LR3 to maximize muscle mass in mass phases. Fatloss.